There has been some serious thought put into the potential implications of Brexit for the ways in which the UK public sector buys supplies and services—or, in technical terms, on the Brexit implications from a public procurement perspective. Academics, such as Dr Pedro Telles, and practitioners such as Michael Bowsher QC, Peter Smith, Roger Newman or Kerry Teahan have started to reflect on the likely consequences from a legal and business case perspective. The overwhelming consensus is that a Brexit is highly unlikely to result in any significant substantive changes of the rules applicable to the public sector’s buying activity and that existing ‘EU-based regulation’ (notably, the Public Contracts Regulations 2015, as already amended by the Public Procurement (Amendments, Repeals and Revocations) Regulations 2016) is very likely to be replaced by an almost identical ‘English-reimagined regulation’. Economic studies, such as that carried out by Global Counsel, have also considered the likely impact of Brexit on public procurement as moderate—although in the economic area there is less consensus, as pointed out by Procurious. Overall, it may seem that public procurement is an area where a Brexit would be unlikely to create much more than legal uncertainty and some economic costs (which are for the UK population to evaluate) and that, after a suitable (possibly long) period of time, new rules would be in place and the sector would carry on as usual. Optimists may identify an opportunity to improve existing rules once the EU requirements are set aside and a distinct English-reimagined regulation can be adopted and implemented (if that is at all possible, which most commentators reject). I would like to entertain that possibility for a second and consider to what extent the creation of a significantly better English-reimagined public procurement regulation is likely to materialise. At the risk of being considered a pessimist or excessively critical, I do not think this possible at all, much less in a tight time-scale of around two years. I think that the process of transposition of the most recent EU rules (notably Directive 2014/24/EU) into the Public Contracts Regulations 2015 is a cautionary tale. That process of transposition required a reform of UK public procurement rules and had a two-year timeline, so the regulatory reform scenario could not be more similar and timely. When the modernisation of the pre-existing EU procurement rules was first proposed, the Cabinet Office set out a clear negotiation strategy with ambitious goals, which mainly revolved around the creation of space for employee led organisations/mutuals to enable employees to gain experience of running public services prior to full and open competition, the shortening of procedures and reduction of red tape, the flexibilisation of the rules in order to allow for better commercial practices, and measures to enhance SME access to public procurement. All of this was achieved and the Cabinet Office was clear in stressing that the ‘revised [EU] package represents an excellent overall outcome for the UK, with progress achieved on all of our priority objectives’. After having successfully secured most of the UK desired reforms during the 2011-2014 negotiation process, and in order to benefit from them as soon as possible, the Public Contracts Regulations 2015 were very quickly adopted in under a year. However, in part as a result of such rush to secure the benefits mentioned above, and possibly also as a side effect of the self-imposed restriction derived from ‘the government’s policies on “copy-out” of European Directives (where available) and avoidance of “gold-plating”, [which] further limit[ed] the extent to which Cabinet Office can deviate from the wording of the EU directive when casting the national UK implementing regulations’, the new UK procurement legislation is rather defective (as discussed in this podcast). The 2015 reform was a significant opportunity to improve the regulation of public procurement in the UK and to rethink a system based on the flexible alternatives now included in the 2014 EU public procurement package, but it was misused and is now lost. By not adding domestic detailed rules to the EU framework, or developing significant guidance (there is some in selected areas, such as public-public contracts orcontract modification), and by rushing an insufficiently developed transposition, the Cabinet Office created a situation where procurement practice is very likely to carry on as usual unless old rules are now barred (most are still compatible with the revised framework, though) or the specific contracting authority identifies any clear advantage in adopting new practices. Piece meal legal reform, piece meal guidance and piece meal procedural innovation is unlikely to result in any deep transformation of the way the UK public sector buys supplies and services. In my view, this is a cautionary tale because fundamentally rethinking the public procurement function and its processes, and then designing a coherent system of rules that effectively support them, is a very hard thing to do (and one to which I intend to dedicate significant effort in the coming years). 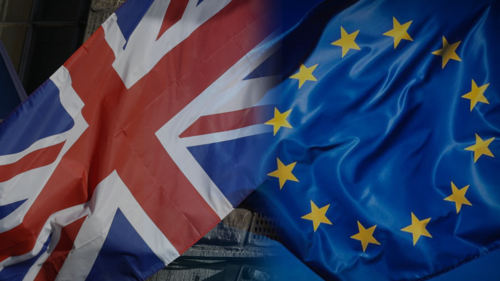 Moreover, the policy priorities expressed by the UK during the process of modernising the EU framework are now embedded in the revised EU and UK procurement rules. This seems to leave nothing left for the UK to want to push for in any subsequent legal reform, so there is no actual public interest or clear public policy driver for any additional reform of current rules—bar the need for technical adjustments. Thus, overall, a Brexit is very unlikely to result in any significant change in the way the English public sector buys supplies and services. Not because of EU impositions—then as a trade requirement rather than a regulatory obligation—but due to the lack of internal drive and practical need for an English-reimagined public procurement regulation. It is one of the biggest game-changing issues for the procurement industry right now.